What is the Lunch of Champions you ask? 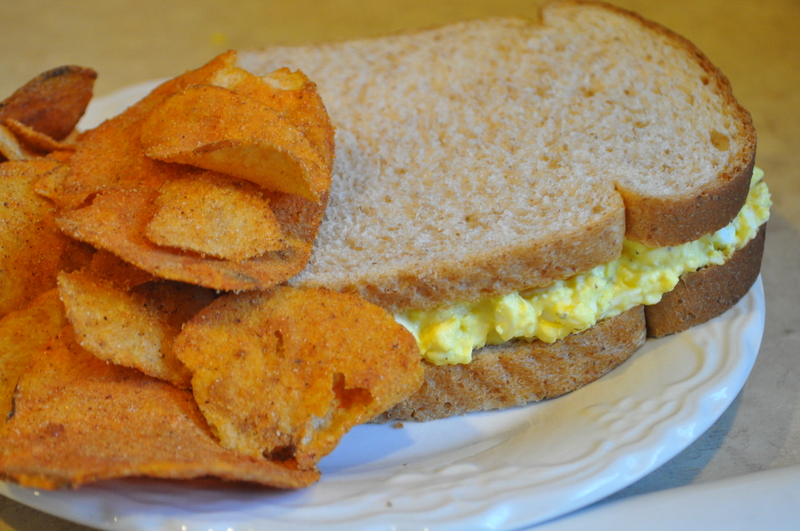 Egg Salad on Wheat with Grippo’s BBQ Chips, of course! Nothing better than this (except maybe bologna on wheat with a big, fresh tomato slice and mayo). My brother raises chickens for laying and does his best to keep me in stock with eggs. It is amazing how much better fresh eggs really are. They taste and look richer. The yolk is thicker, yellower, and tastier. Want proof? Make German chocolate cake icing with fresh eggs and marvel at the distinct difference. Eggs salad is like potato salad- the more simple, the better. 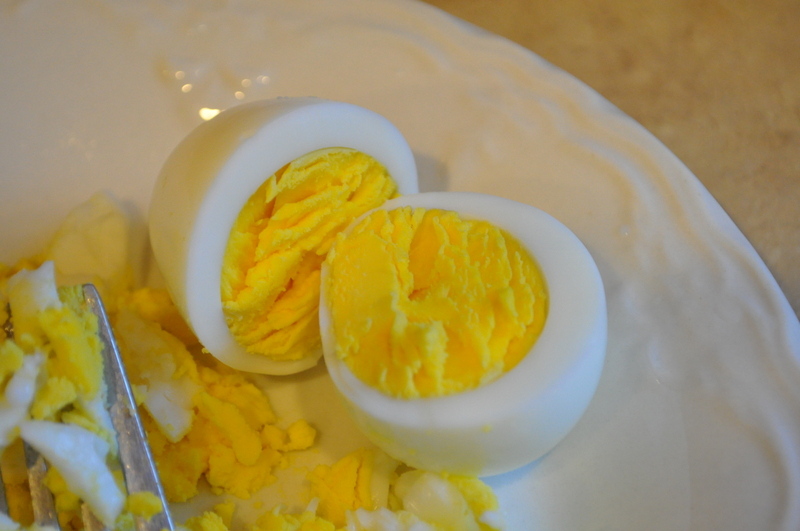 Boil the eggs until hard boiled. Remove from heat and immediately cool with cold water. Crack the eggs and remove the shells. Shells remove better when the eggs are less fresh. (Deviled eggs should NEVER be made with fresh eggs). With fork tines, mash the eggs up. Stir in the mayo, mustard, salt, and pepper. Spread on wheat bread and enjoy!! !